The month of October has passed as the Breast Cancer Awareness Month and still there are some misconceptions related to Breast Cancer among people. It is a disease in which cells in the breast begin to divide and grow in an abnormal way. It may be caused by a combination of diverse factors, many of which are beyond our control. Most breast cancers (8 out of 10) occur in women who are over the age of 50. Only around 5% of breast cancers are caused by inheriting an altered gene but most cases happen by chance. There are several types of Breast Cancer. It can be diagnosed at different stages and can grow at different rates. Different treatments are tried, depending on what will work best for each person. Breast cancer is still the second leading cause of cancer death in women, the first being lung cancer which kills more women each year. The fact remains that African-American women have 42 percent higher death rates when compared to others. 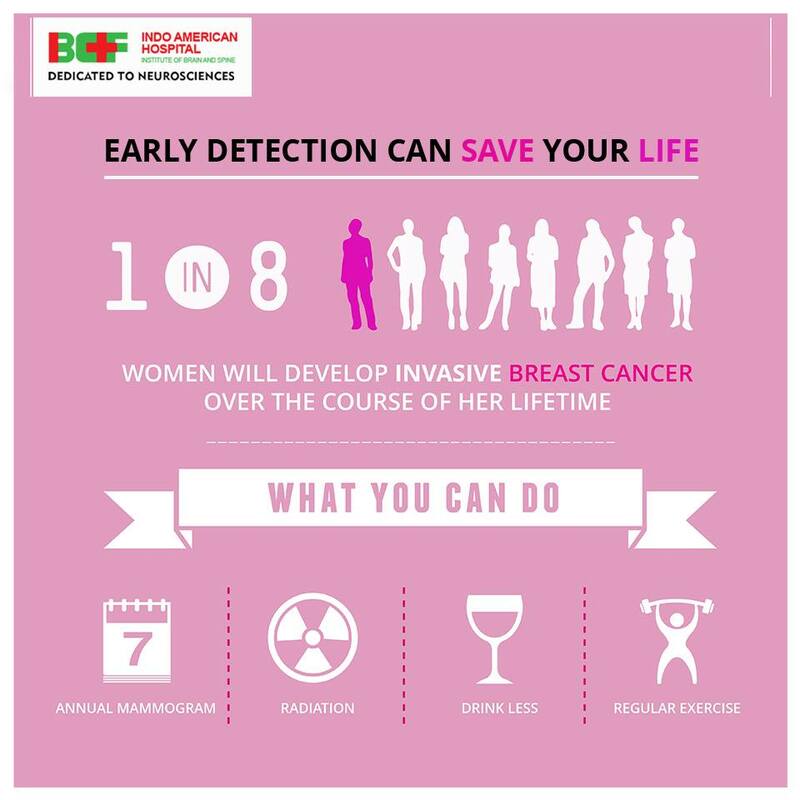 But nowadays a woman’s risk of dying of breast dropped 38 percent between the late 1980s and 2014 all thanks to earlier detection through screening, increased awareness and better treatments.  Smoking: Research indicates that smoking may slightly increase Breast Cancer risk, particularly long-term, heavy smoking among women who start smoking before their first pregnancy.  Obesity: Risk of postmenopausal Breast Cancer is about 1.5 times higher in overweight women and about 2 times higher in obese women than in lean women.  No exercise: Women who get regular physical activity have a 10% – 25% lower risk of Breast Cancer compared to women who are inactive.  Alcohol Consumption: Numerous studies have confirmed that alcohol consumption increases the risk of Breast Cancer in women by about 7% – 10% for each one drink of alcohol consumed per day on average. Do self-examination of your breasts at regular intervals. If you notice a change in your breasts, go and see your doctor as soon as you can. Most breast changes are normal breast changes or due to a benign (not cancer) breast condition, but it’s important to find out what’s causing the change. With advances in technology, Cancer treatment has taken rapid steps. Depending on the type and spread of the Breast Cancer, Surgery, Chemotherapy, Radiotherapy, Hormone Therapy, Targeted therapy etc. are available nowadays for patients. Many clinical trials are taking place which has increased hope for survival.